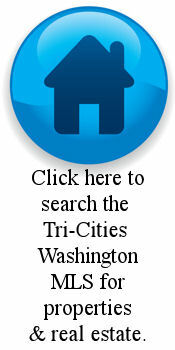 One of the fastest, if not the fastest growing cities in Washington, Pasco, Wa., in the southeastern portion of the state makes up one-third of the Tri-Cities area along with Richland and Kennewick. The city’s current success can be traced all the way back to an 1805 visit by Lewis and Clark and while the Lane Real Estate Team was not around then to offer them a piece of real estate, Joe and Colleen Lane do have over 20 years of combined experience in the Pasco area serving the needs of buyers and sellers interested in residential homes, multi-family listings and investment properties. Beginning in the 1990s, the aggressive development of Pasco spurred impressive growth in the area, creating what is now a beautiful and diverse set of homes serving an ever-growing population. Tourism is surging in the area and more and more people each day are flocking to Pasco’s beautiful scenery and exciting atmosphere. Because the boom in activity has been relatively recent, much of the infrastructure of Pasco is fairly new and that fresh look is one of the key draws that has made the Pasco real estate industry as full of activity as it is. Of course, not everything in Pasco is brand new and one of the traditions that has stood over the test of time is the Pasco Farmer’s Market, a tradition that brings together merchants and residents for fresh produce. If that’s not enough food, the Fiery Food Festival each September throws a little spice on the proceedings with an all-out celebration of spicy foods of all types. These events and others underscore the community aspect of Pasco that makes it so appealing to so many. For those interested in sports, Pasco hosts the Tri-City Dust Devils minor-league baseball team, currently affiliated with the Colorado Rockies. Of course, with its proximity to the convergence of the Columbia and Yakima Rivers, Pasco also plays host to a wide variety of water-based activities at any of the many parks that take advantage of the beautiful natural surroundings of the area. The principle of providing the best possible service to each and every customer is one of the core tenets of the Lane Real Estate Team and Colleen and Joe Lane have succeeded for over 20 years because of their ability to stick to that pledge. No matter if you are looking to buy or sell a property in Pasco or the surrounding Tri-Cities area, Joe and Colleen Lane have experience dealing with just your type of transaction. That level of experience leads to a high-quality transaction free of stress and worry, whether you are looking at a residential home, multi-family property or investment opportunity. Because so much of the real estate process can be attributed to the local real estate market, intimate experience with that local section of the real estate market can make all the difference. In Pasco, Joe and Colleen Lane have just that with over two decades of buying and selling properties of all shapes and sizes to draw experience and inspiration from. Whether the task is marketing your property or finding the perfect home, the knowledge of local buying trends and what neighborhood might be the best fit is the type of knowledge that can only be provided by those well versed in the local market. Joe and Colleen Lane are just that in the Pasco real estate market. It is important to benefit from the experience of others and when considering Pasco Wa homes for sale, that experience can be found in Colleen and Joe Lane. Armed with the power of local MLS listings and the even greater impact of a local wealth of knowledge accumulated over many years of service to the community, Joe and Colleen Lane can provide a Pasco Wa real estate buyer or seller with a simple, stress-free transaction perfectly tailored to your individual needs. The vibrant and flourishing city of Pasco, Washington, which comprises one-third of the beautiful Tri Cities area and is considered to be the fastest-growing city in the entire state, is not only marked by its net percentage growth and abundance of attractions, but also by its colorful history. Pasco and its surrounding area was first put on the map in 1805, when, on October 16, the Lewis and Clark Expedition made its way into the region. Their journey there involved recording the details of their experience, in particular of a camping site that is now known as Sacagawea State Park. However, before the famous exploration of Lewis and Clark, the Pasco region was home to many Indian tribes who were drawn to the mild weather and abundance of fish alongside the banks of the Columbia River, as well as the Snake and Yakima Rivers…[more Pasco Washington History].